Home > Was Jesus Born of a Virgin? The virgin birth of Christ is a fundamental doctrine of the Christian faith, taught in the Catholic, Eastern Orthodox, and most Protestant denominations. It is interesting to note that even Islam, though it denies the deity of Christ, affirms his virgin birth. On the other hand, during the past couple of centuries a growing minority of liberal Protestants have questioned or denied that Jesus was born of a virgin. The most vigorous criticism has come from skeptics (including both agnostics and atheists), who typically argue that the idea was co-opted from ancient mythology. So, was Jesus born of a virgin? For Christians who accept the Bible as the word of God and its accounts of Jesus in the Gospels as historical fact, the answer is a simple Yes. What, though, can we say to skeptics or to people who are unsure or doubtful about the reliability of the Gospels? We cannot “prove” that Mary was a virgin when she conceived and later gave birth to Jesus. The only human witness to the event of her conception was Mary herself. What we can do is show that belief in the Gospel accounts of Mary’s conception of Jesus is credible. That is, we can explain why it is perfectly reasonable to accept the virgin birth of Christ as fact. Let’s start with the question of whether the virgin birth of Jesus Christ is even possible. Skeptics commonly object to the idea in principle on the grounds that it violates the laws of nature. Humans are mammals, and mammals produce their offspring through sexual reproduction. The technology of in vitro fertilization was unavailable in the ancient world. Therefore, it would be impossible for Mary to have conceived in her womb apart from a human father. As far as skeptics are concerned, it’s as simple as that. This objection is completely reasonable and irrefutable—if God doesn’t exist. However, the skeptical objection based on science has no force whatsoever if God exists. Typically, skeptics treat the Virgin Birth as if it were a belief that Mary somehow spontaneously became pregnant on her own. That is not at all what Christians believe. Rather, they believe that God supernaturally caused a new life to form in her womb. The Gospels of Matthew and Luke both attribute Mary’s conception to the Holy Spirit (Matt. 1:18, 20; Luke 1:35). If you have doubts about God’s existence, you will need to resolve that issue in your mind before you will be able to accept as fact the virgin birth of Christ. The God who brought our universe into existence and who made life appear on Earth is certainly capable of miraculously causing a virgin to conceive a child. Although Matthew and Luke are the only two Gospel writers to refer explicitly to the virgin birth of Christ, there are hints elsewhere in the New Testament that Joseph, Mary’s husband, was not Jesus’ biological father. In Mark 6:3, the people of Nazareth, Jesus’ hometown, refer to Jesus as “the son of Mary.” Since the usual convention in Jesus’ society was to refer to a man by his father’s name (e.g., “Simon son of Jonah,” Matt. 16:17), the expression “son of Mary” may well have been a dig at Jesus as an illegitimate son. In the Gospel of John, Jesus’ hostile Jewish critics at one point comment to him, “We were not born of fornication” (John 8:40)—very likely a pointed, backhanded insinuation that Jesus was “born of fornication.” Many scholars who reject the virgin birth of Christ agree that Joseph was not his biological father. These scholars, ironically, agree with the early critics of Christianity that Jesus was an illegitimate son. Again, we cannot expect to prove that Jesus was born of a virgin. However, we can show that the early church was well aware of the fact that Joseph was not his biological father and that they made no attempt to cover up this fact. Some critics claim that the Gospels were written by men living long after the time of Jesus who felt free to make up stories about him. If that had been the case, we would have expected them to suppress the fact that Joseph was not Jesus’ natural father. Yet both Mark and John allude to this fact without even bothering to offer any explanation. Their openness about this fact—which would have been considered extremely scandalous—shows that they were quietly confident about what had really happened. Frankly, these comparisons demonstrate sheer historical ignorance. Christianity did eventually come into contact with Hinduism and Buddhism through Christian evangelistic missions to the East, but far too slowly for such contact with the stories of Krishna2 or the Buddha to have led Christians in the first century to invent stories of the virgin birth of Christ. Ghengis Khan lived twelve centuries after Jesus! We actually have good reasons to think that these Gospels were written much earlier than AD 90. Both Gospels report Jesus’ prophecy that the Romans would destroy the temple, which did occur in AD 70. Yet they don’t refer their readers to that event as the fulfillment of Jesus’ prophecy. Indeed, none of the books of the New Testament ever refers back to that event as something in the past. The Gospel of Luke is the first of a two-volume work on the origins of Christianity. The Gospel, which is part one, focuses on Jesus’ life, death, and resurrection. The Book of Acts, which is part two, begins with Jesus’ ascension and ends with Paul’s house arrest in Rome (around 60-62). Its ending with Paul’s case unresolved suggests Acts was finished about 62 or very soon after. Since the Gospel of Luke was written before Acts, we can conclude that the Gospel was probably written no later than about 60 or 61. That’s less than thirty years after Jesus’ death. When we compare the accounts of the conception and birth of Jesus in Matthew and Luke, we find something very interesting: They do not have a single passage in common. Matthew’s account talks about the angel appearing to Joseph, the visit of the Magi, Herod’s attempt to kill Jesus, and the family’s flight to Egypt (Matt. 1-2). Luke’s account talks about an angel’s announcements to Zechariah and Mary, Mary’s visit to Zechariah’s wife Elizabeth, the visit of the shepherds, Jesus’ circumcision, and Jesus’ staying behind in the temple when he was twelve (Luke 1-2). Obviously, neither Matthew nor Luke copied from the other one. That means neither author invented the story of Jesus being born of a virgin. On the other hand, Matthew and Luke agree on a surprising number of details about Jesus’ birth. They agree that Joseph and Mary were betrothed but not married when Mary became pregnant (Matt. 1:18; Luke 1:27-38; 2:5) and that Jesus was born soon after they were married (Matt. 1:25; Luke 2:5-7). We don’t find one writer saying Joseph and Mary didn’t know each other when she became pregnant, or that they were already married when it happened. Instead, they both give the same very specific order of events: betrothal—conception—marriage—birth. And of course they both agree that Joseph was not the natural father. Matthew and Luke also agree that Jesus was born during the reign of Herod the Great (Matt. 2:1, 3, 7, 12-22; Luke 1:5) in Bethlehem (Matt. 2:1; Luke 2:4-7) but grew up in Nazareth (Matt. 2:23; Luke 1:26; 2:39, 51). The specific nature of these similarities demonstrates that they go back to a common origin. Yet they cannot both originate from the same earlier written account, because if they did they would have at least some stories in common. Rather, what we have are two independent accounts, based on different sources, that both happen to support a number of very specific factual claims about the birth of Jesus. What have we learned so far? We saw earlier that Matthew and Luke were written about 25 to 50 years after Jesus’ death. Now we know that the basic factual claims they have in common concerning Jesus’ conception and birth go back to sources earlier than either of those two Gospels. This means that reports that Jesus was born of a virgin were already circulating among Christians in the very first generation of the church. If Matthew and Luke did not invent the idea that Jesus was born of a virgin but got their information about his conception and birth from two different, earlier sources, what might those sources have been? Here is an interesting fact that may provide the answer. Matthew’s narrative of the conception, birth, and childhood of Jesus (Matt. 1:18-2:23) mentions Joseph by name six times and Mary only three times. By contrast, Luke mentions Joseph by name three times and Mary twelve times. If we read the two narratives with these contrasting numbers in view, we can see that Matthew’s account is told from Joseph’s point of view whereas Luke’s account is told from Mary’s point of view. In other words, Joseph was the original source for the account in Matthew, while Mary was the original source for the account in Luke. This theory about Matthew and Luke’s sources accounts for the specific events each of them records. Matthew tells about the angel appearing in Joseph’s dreams and about Joseph taking the family to Egypt and then to Nazareth. Luke tells about Mary’s relatives Elizabeth and Zechariah, about Mary’s experience of seeing Gabriel, and about events in Jesus’ childhood that made a strong impression on her. The explanation that Matthew’s account derived from Joseph and Luke’s derived from Mary doesn’t require that Matthew and Luke spoke with Joseph and Mary directly. All that it requires is that Joseph and Mary each told people about what had happened, and their stories were picked up by the Gospel writers. Joseph is generally thought to have died before Jesus began his public ministry. Presumably his story was passed on to his sons, including James, the Lord’s half-brother, whom Matthew would have known personally when both of them were apostles and leaders in the early Jerusalem church (Acts 1:13; 12:17; 15:13; 21:18; 1 Cor. 15:7; Gal. 1:19; 2:9, 12). Depending on when one dates his Gospel, Luke may have heard Mary’s story from Mary herself or perhaps from the apostle John or one of the women that had known Mary (see John 19:25-27). It is also possible that her story was passed down as an oral tradition that Luke received secondhand. British New Testament scholar Richard Bauckham has argued that much of the material in Luke’s Gospel that is not found in the others likely stemmed from the testimonies of such women as Joanna and Susanna (see Luke 8:3; 24:10),5 both of whom no doubt knew Mary. In any case, Luke states explicitly at the beginning of his Gospel that it was based on eyewitness accounts (Luke 1:1-4). Our analysis of the different sources underlying the opening chapters of Matthew and Luke supports Luke’s statement. To sum up: The evidence shows that the accounts of Jesus’ birth in Matthew and Luke derived from sources known in the very first generation of the church, based on the eyewitness testimonies of Joseph and Mary. Those are precisely the two human beings who were in a position to know what actually happened. Once we see that the accounts of the Virgin Birth originated from Joseph and Mary themselves, the suggestion that the early church invented the idea decades after Jesus’ death obviously fails. Although we cannot prove the Virgin Birth happened or verify every detail of the Gospel accounts, we have good reasons to conclude that they are based on facts. In this light, consider Matthew’s statement about the significance of the Virgin Birth: “All this took place to fulfill what the Lord had spoken by the prophet: ‘Behold, the virgin shall conceive and bear a son, and they shall call his name Immanuel’ (which means, God with us)” (Matt. 1:22-23). Critics commonly charge that Matthew misquoted Isaiah 7:14 here because the Hebrew word ‘almāh meant “young woman,” not “virgin.” However, Matthew was quoting from the Septuagint, the standard Greek translation of the Old Testament, which used the Greek word parthenos, which meant “virgin.” As for the Hebrew word, it occurs in only six other places in the Old Testament, never clearly referring to married women. Rebekah was a virgin before she married Isaac (Gen. 24:43, see 24:16). Moses’ sister Miriam was just a girl when Moses was born (Exod. 2:8). The maidens in Solomon’s harem who were distinguished from his wives and concubines (Sol. 1:3; 6:8) were probably virgins. The other two uses of the word are ambiguous, but neither of them clearly refers to married women (Ps. 68:25; Prov. 30:19). So Matthew did not misquote Isaiah 7:14 after all. In its original historical context, Isaiah 7:14 had an immediate fulfillment in the birth of a son to a “young woman” in King Ahaz’s court (perhaps the young woman was about to be married). The boy’s birth was a “sign” of God’s promise to protect the Davidic kingdom in Jerusalem from an impending threat from foreign powers (Isa. 7:7-16). However, Isaiah’s prophecy also pointed forward to a greater fulfillment in which a wonder child would arise to become the eternal king on David’s throne (Isa. 9:6-7; 11:1-10). 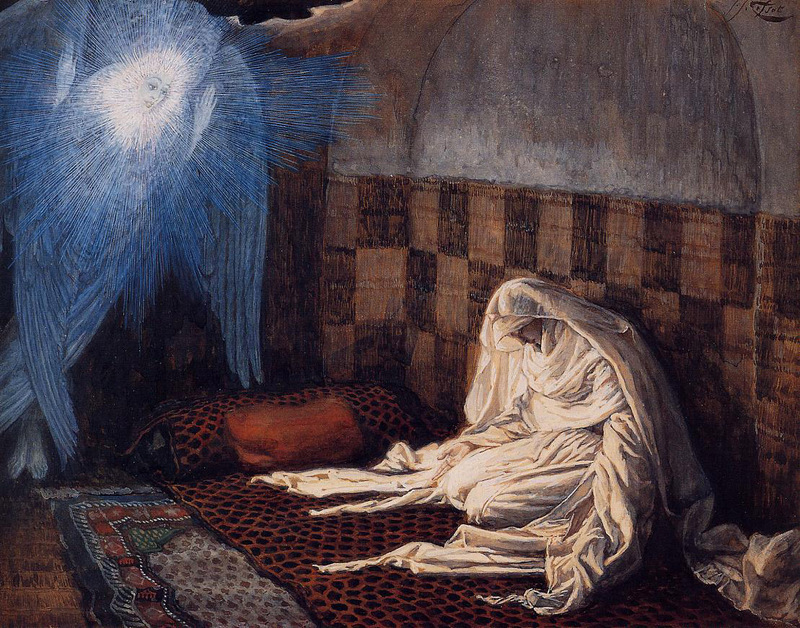 Since Matthew and Luke both derived their accounts from much earlier sources, obviously Matthew could not have invented the Virgin Birth in order to make it “appear” that Jesus fulfilled Isaiah’s prophecy, as critics often claim. Rather, Matthew learned from his source (probably Joseph) that Jesus had been born of a virgin, and then Matthew explained how that remarkable event fulfilled Messianic prophecy. This is just one of many prophecies and types of the Messiah that Jesus fulfilled. The Virgin Birth is not just an astounding miracle, but a sign that Jesus is the Messiah, God with us. The belief that Jesus was born of a virgin is not a later legend or myth. The accounts in Matthew and Luke were written in the first century based on independent sources of information, most likely originating with Joseph and Mary themselves. Although we cannot prove that it happened, we have surprisingly good evidence for it—about as good as we could ask for such an event. Nor is there anything impossible about such a miracle. The God who created the world and life itself and who raised Jesus from the dead could certainly have sent his Son into the world as a human being through a miraculous conception in the womb of a virgin. This article is a summary of material in a chapter contributed by the author to the new edition of Evidence that Demands a Verdict by Josh McDowell and Sean McDowell (Nashville: Thomas Nelson, 2017), 319–39. 1. Christopher Hitchens, god Is Not Great: How Religion Poisons Everything (New York: Hachette Book Group, 2007), 23. 2. See Ronald V. Huggins, “Krishna and Christ: Debunking the Parallels between Jesus and Krishna” (Cedar Springs, MI: Institute for Religious Research, 2014). 3. Bart D. Ehrman, How Jesus Became God: The Exaltation of a Jewish Preacher from Galilee (New York: HarperOne, 2014), 24. 4. On the dates of the Gospels and other questions about their value as historical sources, see part 2 of this series, “What Are the Most Reliable Sources about Jesus?” (Cedar Springs, MI: Institute for Religious Research, 2017). 5. Richard Bauckham, Gospel Women: Studies of the Named Women in the Gospels (Grand Rapids: Eerdmans, 2002), 186–94.